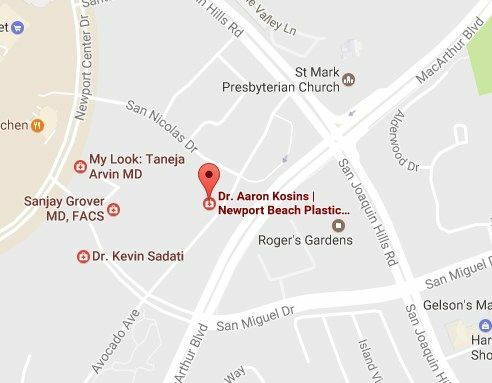 A few weeks ago, I got an e-mail inviting me to meet Dr. Aaron Kosins, a plastic surgeon based in Newport Beach, CA, and his team while they were in New York City. 1. Sunscreen. This one is pretty basic. “Everyone knows sunscreen is a good thing,” said Kosins. “But you need to reapply it every 90 minutes or so, and most people forget.” I always forget to reapply. 2. Antioxidants. Kosins also explained sunscreen doesn’t block all of the sun’s UV rays. Some UV radiation still gets through and causes the formation of free radicals. These free radicals cause inflammation and DNA damage, which leads to skin cancer. So you need antioxidants. These neutralize free radicals and prevent them for doing damage. One of the more popular antioxidants in skin care products is vitamin C.
3. Sun Protective Clothing. And since many people forget to reapply sunscreen and it’s not always convenient to stop and reapply when you are enjoying the great outdoors, sun protective clothing is a good idea. Kosins said he likes clothes from REI, although there are a lot of good brands out there. I know I have mentioned Coolibar and Solumbra on here before. 4. Maintaining overall skin health. Protecting your skin from the sun is very important, but you need to take care of it all. the. time. If you use retinol, it will strengthen your skin over time, and make it better able to tolerate the sun, said Kosins. He went on to say retinol helps stimulate your skin: it distributes melanin, and builds collagen and elastin. Sun spots are less likely to form, and your cells are less likely to be damagedby UV radiation. “Think of using retinol as exercising your skin, the way going to the gym is exercising your muscles,” Kosins said. 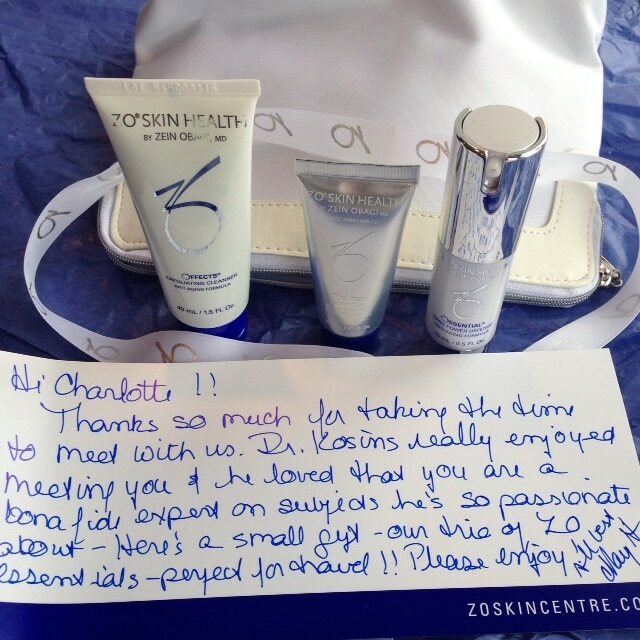 BTW, Kosins, who is also a partner in the ZO Skin Centre in Newport Beach, sent me some products from the ZO Skin Health line. * I really love the Ossential Daily Power Defense serum and the Oclipse Smart Tone sunscreen with SPF 50. I have been using the Olluminate Intense Eye Repair cream that I got in a blogger goody bag a while ago, and I love that, too! May is Skin Cancer Awareness Month. As a beauty blogger, I feel like I should devote a few posts to this important issue. So I am going to do a skin cancer-related post every week or so throughout the month. You can read my first two posts here and here. Be sure to subscribe to Fabulous Forever using the form on the top right of the homepage, and use the social sharing buttons below the form to follow me on social media. Here’s my Twitter and Instagram. I’m on Snapchat at clobuono. And don’t forget to like the Fabulous Forever Facebook page! *The products were sent to me for my review. Opinions are my own.